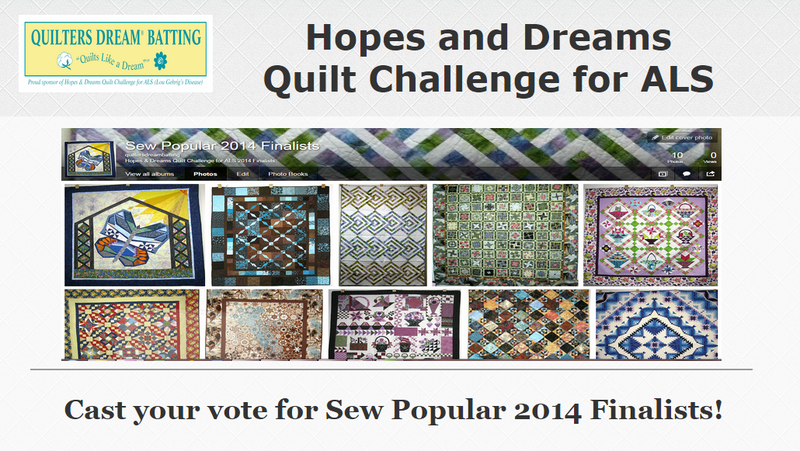 Vote for your favorite Sew Popular Quilt! 10 finalist have been entered into the "Sew Popular" category. It's now up to YOU to choose our winner! One lucky finalist will win a prize package valued at $1000. We want to thank everyone who participated, donated and sponsored in the 2014 challenge! Without your support we couldn't be so successful towards raising awareness and finding a cure. Let's keep our hopes up and have yet another awesome year. 2015 challenge... here we come! Check out more detailed photos from our FLICKR page!